I read this article and found it very interesting, thought it might be something for you. The article is called Was the Rise of Neoliberalism the Root Cause of Extreme Inequality? 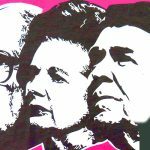 and is located at http://evonomics.com/rise-of-neoliberalism-inequality/. With their help, he began to create what Daniel Stedman Jones describes inMasters of the Universe as “a kind of neoliberal international”: a transatlantic network of academics, businessmen, journalists and activists. The movement’s rich backers funded a series of think tanks which would refine and promote the ideology. Among them were the American Enterprise Institute, the Heritage Foundation, the Cato Institute, the Institute of Economic Affairs, the Centre for Policy Studies and the Adam Smith Institute. They also financed academic positions and departments, particularly at the universities of Chicago and Virginia. 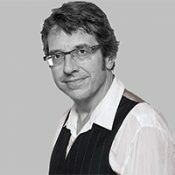 George Monbiot’s How Did We Get into This Mess? is published this month by Verso. To order a copy for £12.99 (RRP £16.99) ) go to bookshop.theguardian.com or call 0330 333 6846. Free UK p&p over £10, online orders only. Phone orders min p&p of £1.99. The Invisible Hand Won't Solve the Climate Crisis. Capitalism Must Evolve.